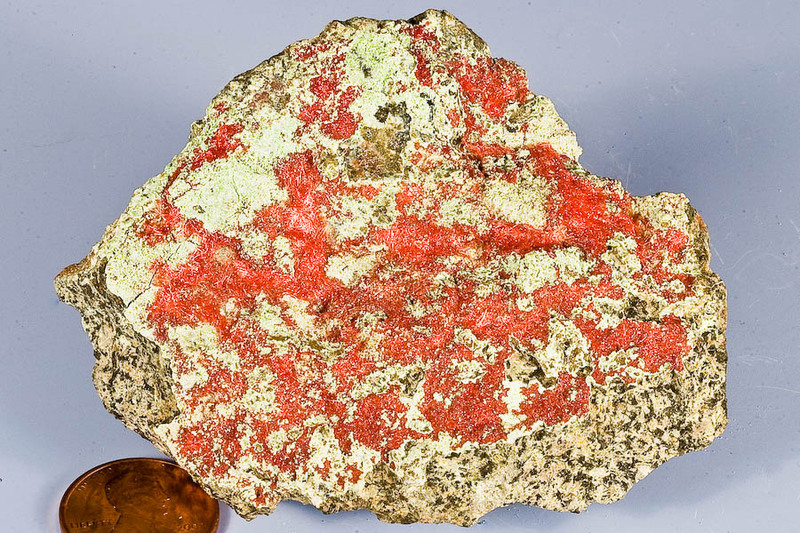 Comment: Transparent red hair-like cuprite crystals, the variety known as chalcotrichite, on greenish chrysocolla-coated matrix. 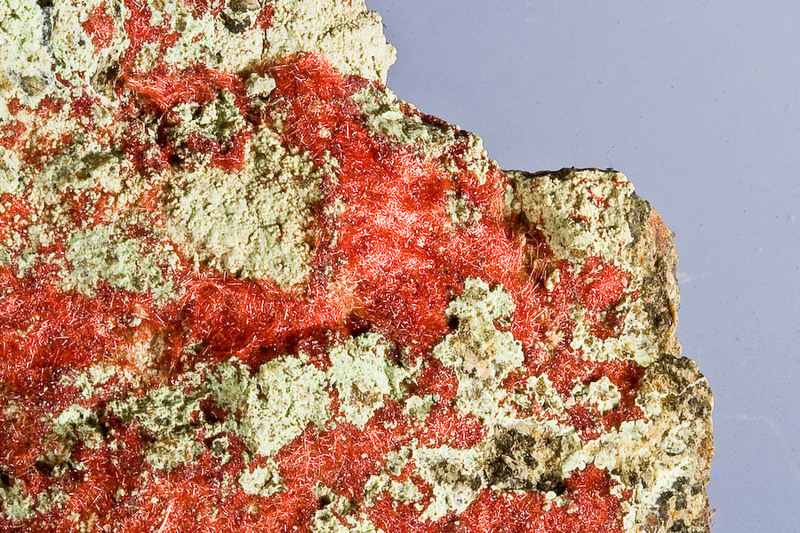 The cuprite crystals look beautiful under magnification. No damage. Ex. A. Goldstein #213.